Well, today was a stark contrast to the last 10km road race I did! 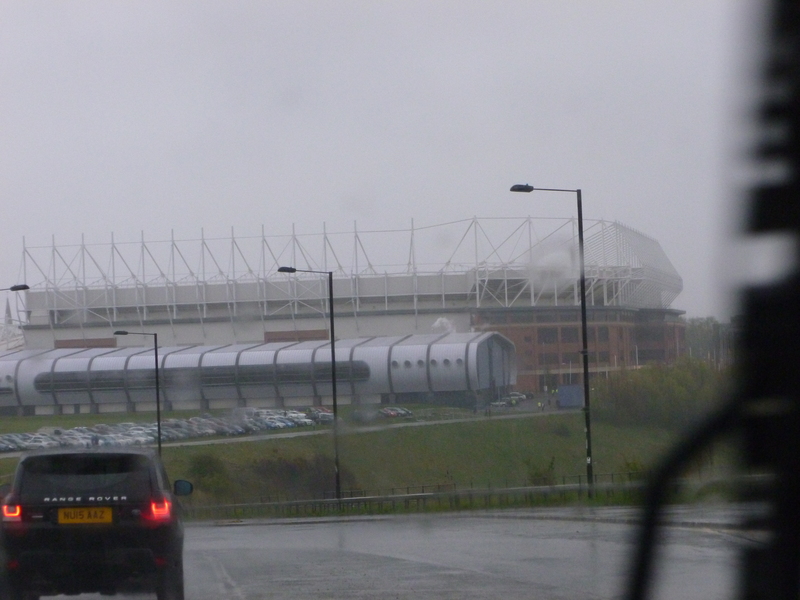 Tyneside only a few weeks ago was blue skies and blazing sunshine, and today at the Stadium of Light in Sunderland it was bucketing it down with rain and I prefer not to think it could have been wetter or windier! Of course, now I’m sitting inside typing away at the computer the clouds have mostly cleared and the skies are blue with a gusty breeze…nice running weather – not too hot. 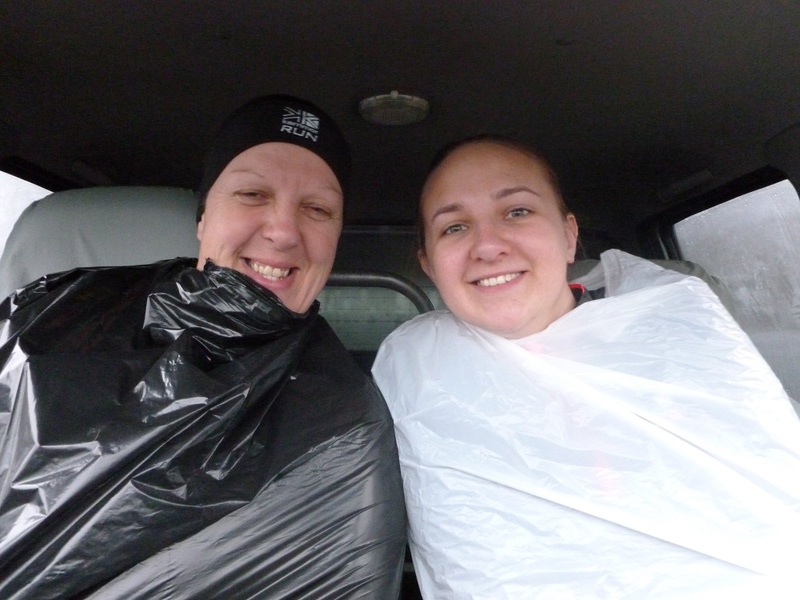 J and I donned that runner’s bad weather favourite, the Bin Bag for our pre-race loitering and getting to the start line. We both obviously looked ridiculous – a little like a pair of bugs poking out of cocoons, or in my case possibly someone in a straight jacket heading for the loony bin…but we had a good giggle anyway 😉 Probably if I hadn’t had it on, it would have been worse, but we were both still cold and wet before we’d even got to the stadium let alone the start line! Getting out of bed this morning was madness let alone trying to leave the house for an outdoor event!